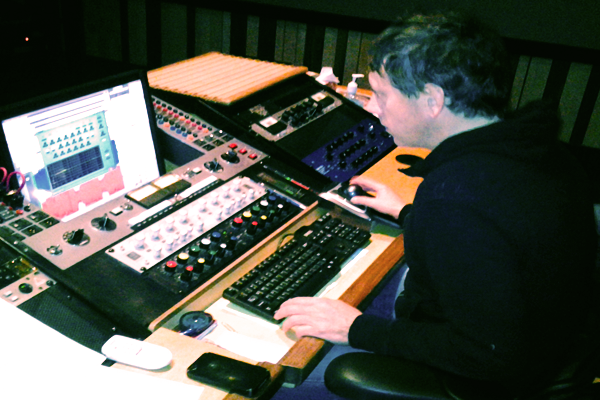 Gene Grimaldi, Oasis Mastering Engineer Burbank, CA Working On "Red Light"
Since 1996, Oasis Mastering has been recognized among the most reputable in the music industry for mastering. Founded by mastering engineer, Eddy Schreyer, a veteran in the industry for over 30 years, Oasis has amassed some of the most notably talented musicians, including Kanye West, Akon, Lady Gaga, Prince, Christina Aguilera, Beyonce Knowles, JoJo, and Bob Dylan. EMG/ Universal Hip-Hop group The S.O.G. Crew in collaboration with independent pop artist Crystal Rome takes new “Red Light” song to Oasis to work with Legendary Mastering Engineer Gene Grimaldi. Gene Grimaldi has made a big name for himself in the mastering community. Having worked alongside some of the top mixers and producers in the industry, Gene has built quite a reputable client list since joining Oasis Mastering in 1996. Some of his mastering projects include Lady Gaga, Sean Kingston, Akon, Toni Braxton, Hannah Montana, Patti LaBelle, Jo Jo, Rancid, Mary J. Blige, K-Ci & Jo Jo, Colby Odanis, Pennywise, Nofx, Nipsey Hussle, Space Cowboy, Chali 2na, Breakestra and Quasimoto.